Across the Pond Hardscape specializes in hardscape and stonework for residential and commercial properties, large or small projects. Cast Stone Veneers · Pre-Built Modulars · Sealers and Cleaners. We carry the top brands and can provide turn-key service, or assist you in your DIY. 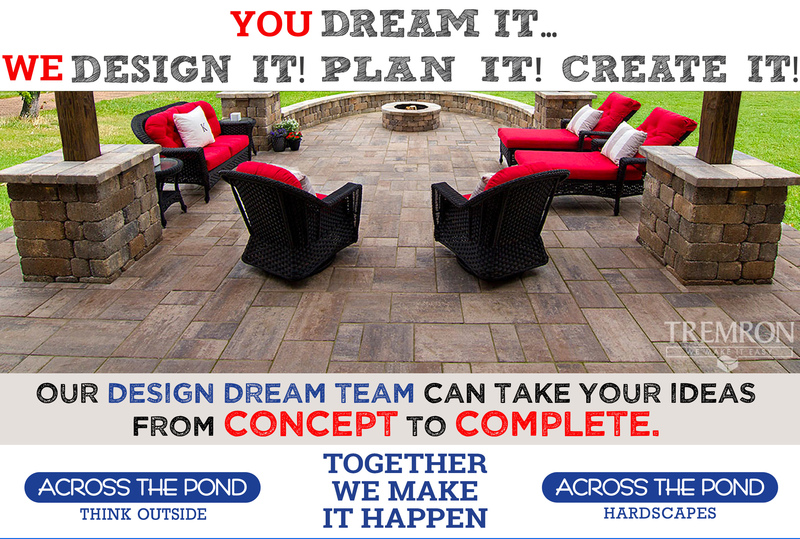 Would you like help with designing your next hardscape project? Mon - Fri: 7.30 am to 4.30 pm.